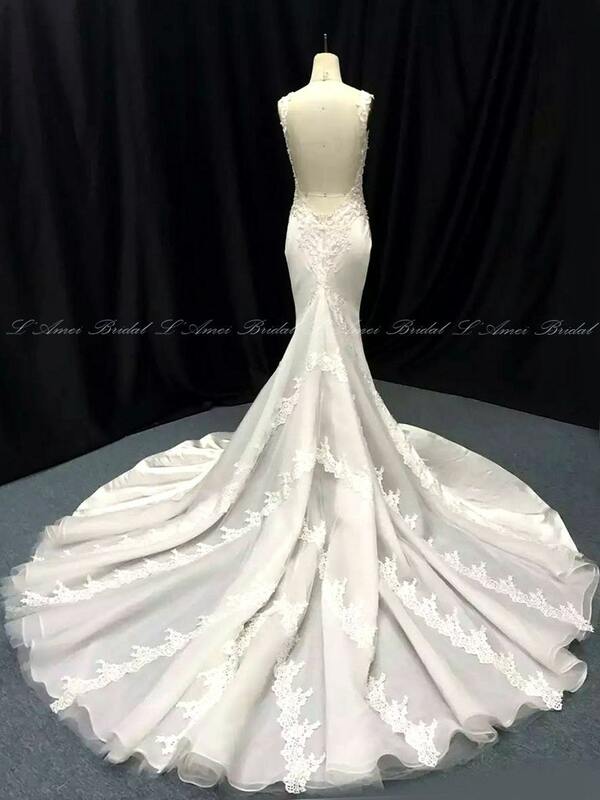 This is a very feminine design because it helps in achieving an hourglass silhouette and creates an illusion for a smaller waist by having a low V-back and V-neckline perfectly balanced with a voluminous bottom. 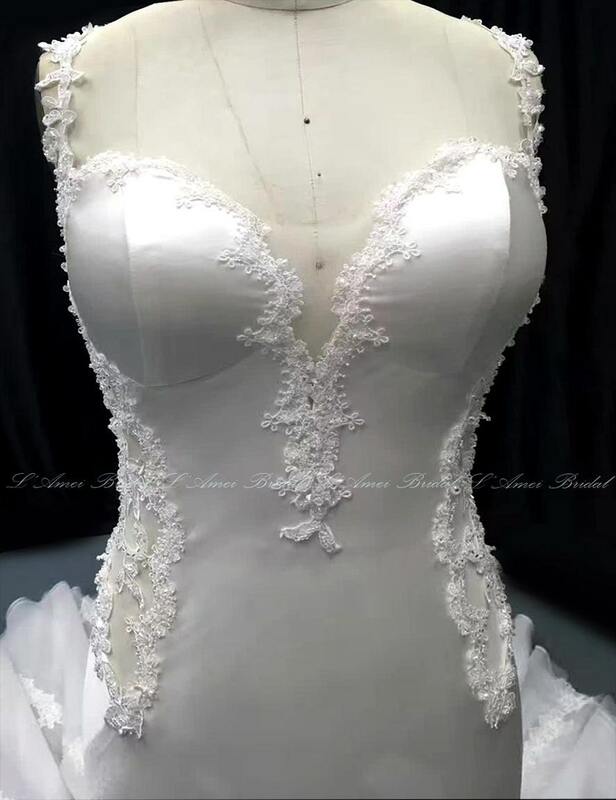 Also, the lace used is a very intricate Alencon lace which gives to the wedding dress a romantic vibe. 1. 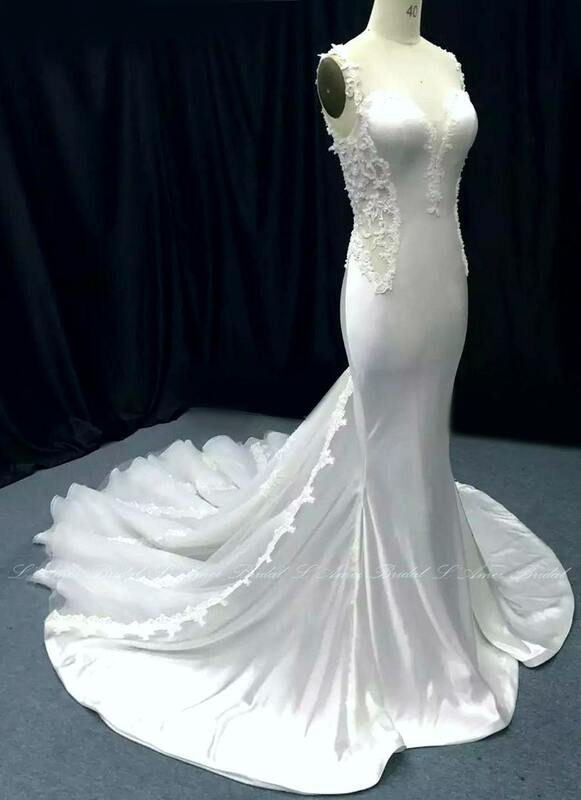 Custom Made to your exact measurements not an altered dress to get "close enough". 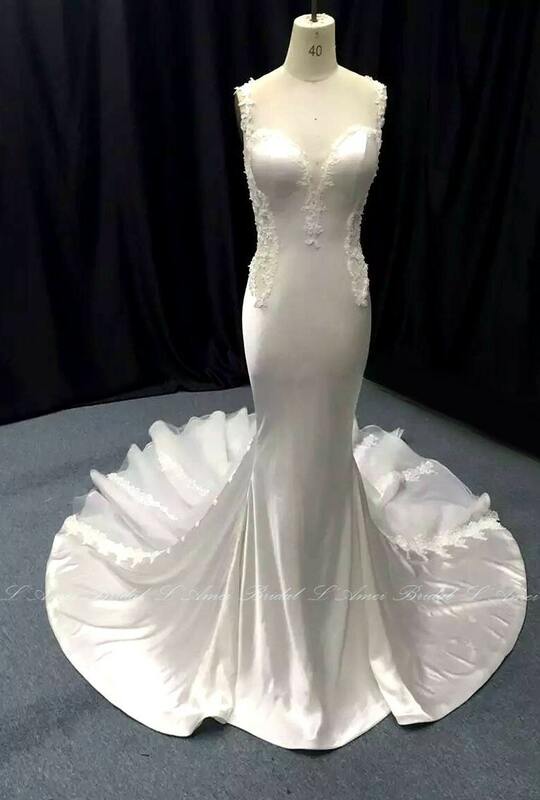 This dress is Bespoke (made to order) to your measurements. Please write to me and I will provide a list of the measurements we require and a measurement guide. Orders shipping outside of Canada/USA are shipped international surface (4-6 weeks) unless airmail add-on is purchased. 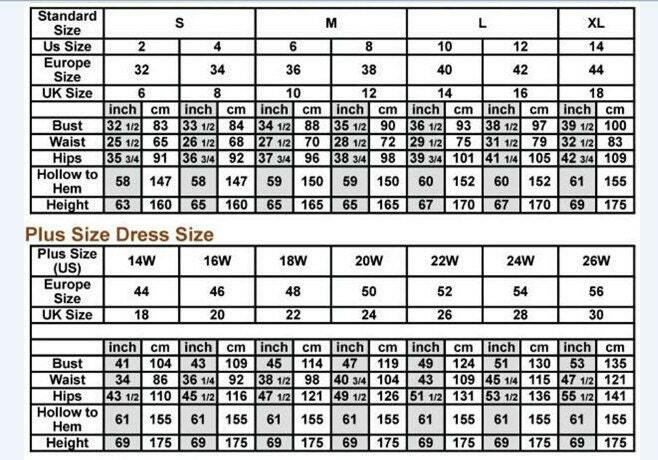 Please let me know your size before buying ,tailoring time 8-10 week.